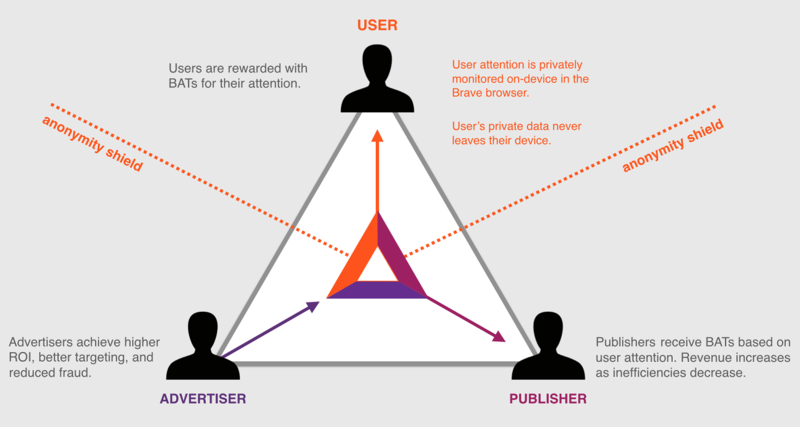 If you have heard about the Brave Browser or Basic Attention Token, you are probably aware of Brave Inc's plan to roll out an advertising system called "Brave Ads". Though Brave Ads doesn't exist yet, there is enough information available about it to draw a comparison with other advertising systems. In this post, I shall use publicly available resources about Brave Ads to compare it with Google Ads / Adsense. The digital advertising industry is estimated to be worth over 300 billion dollars. Google dominates this industry with one third market share. Brave Ads is expected to enter this market soon and compete with Google. Brave promises to respect the privacy of users and provide better advertising technogoly that will show personalized advertisements to users. All of your search queries, youtube search and watch history are stored on Google's centralized servers. All the data Google collects from us is used to serve personalized ads. In simple words, Google collects data so that they can show us advertisements that are relevant to us. Ads we will like to see and click. The pros of this advertising system is that Google is able to provide free services to users in exchange for their data. This system benefits publishers and allow them to earn advertising revenue by signing up to adsense. Cons of this system is that it undermines the privacy of general users. Since all the data is stored in centralized servers, a breach of data could leak confidential information about hundreds of thousands of people. Lets move onto the pros and cons of Brave Ads. Brave Ads are served on the Brave Browser. Brave Browser blocks ads by default and will use the blocked ad slots to show Brave Ads. One of the best things about Brave Ads is that it is an opt in feature. Brave will ask for user's permission to show ads to them. Only after getting consent, Brave will start showing ads. Brave also does not store user information on centralized servers. Brave will store user information on user's own device and use that to serve advertisements. For example, if I am using Brave Browser on a windows 10 computer, Brave will store all of my data in the appdata folder of my computer. You might wonder how they would get information about me if they are storing my data on my own computer. That is a valid concern because this wasn't possible even a few years ago. Brave is able to protect the privacy of the users and still show personalized ads by utilizing a technology called zero knowledge proof. This tech is very new and the first use of this was conducted in late 2017. 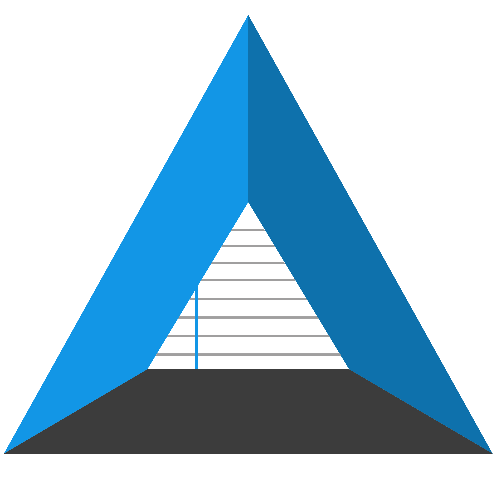 Read more about zero knowledge proof on Wikipedia. This method will allow brave to verify user engagement without collecting any personal information about the user. "The ability to privately monitor user intent at the browser level allows for the development of rich metrics for user attention. For example, it is known whether an impression has been served to an active tab, and measure the seconds of active user engagement. Attention is measured as viewed for content and ads only in the browser’s active tab in real time. The Attention Value for the ad will be calculated based on incremental duration and pixels in view in proportion to relevant content, prior to any direct engagement with the ad. We will deﬁne further anonymous cost-per-action models as the system develops." "Since the attention verification and detection is done by the browser (at the app level), the detection can be more powerful and contextual. The browser has a very holistic picture of how the user is engaging with it, meaning that it can know whether the activity is representative of a real user versus a fake user. For example, consider that the browser will know whether you click into your settings, change a bookmark, where it's located on your actual computer's desktop, etc. In-page scripts that exist today simply can't do that because they're sandboxed in and therefore have little context." Though brave promises to provide better technology, it may still have some downsides. Brave Ads are opt in. So, if users of Brave Browser decide to not opt in, it will not succeed. The ad blocking system may harm publisher revenue. And there is a big technological challenge up ahead for Brave developers since zero knowledge proof is a very new and experimental technology. If Brave can overcome these hurdles, it will be able to provide a better advertising experience that benefits both users and advertisers.